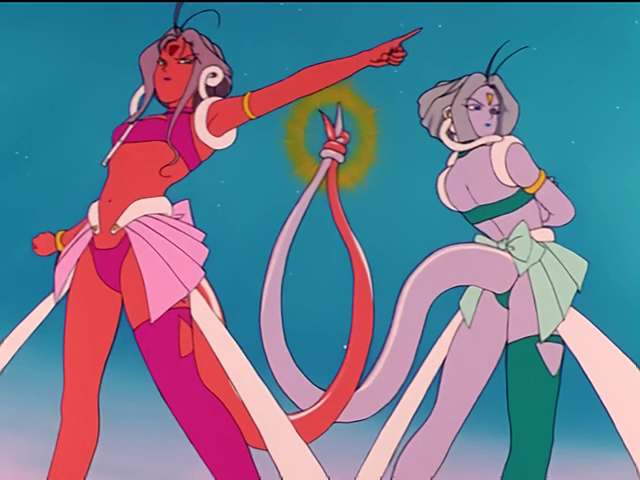 One of the many recurring themes that we keep touching on over and over in the world of Sailor Moon is the significance of names, and the minions of the Dark Kingdom are no different. The majority of their names are either directly related to the specific youma’s power, appearance, or the main character of the day in the episode, but quite a few of them actually have a surprising backstory behind them! So, without further ado, let’s take a look at the names of the youma as they appeared in the first season, separated by who they served under. Morga: This is a hard one since there’s really no direct links in Japanese or English to her name, but judging by her appearance, the ga part of her name is likely in reference to 餓 (ga), meaning “to starve.” She also remarks in the manga that Naru’s mother is likely starving to death and locked up. 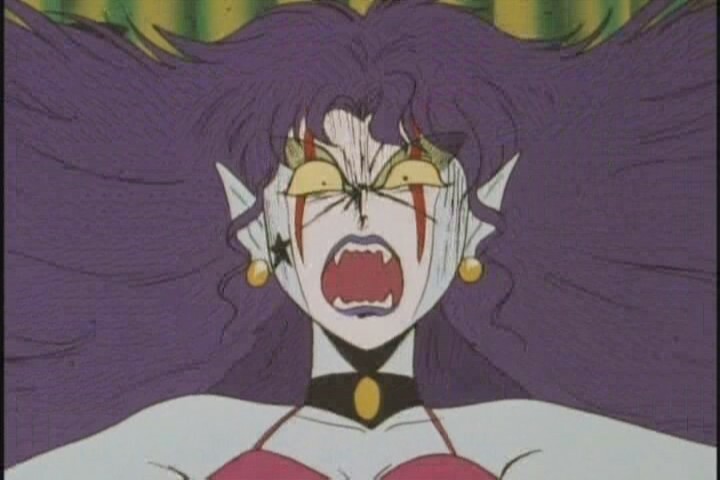 Speaking of the manga, she’s one of the few “monsters of the day” who appeared in both the manga and the anime throughout the entirety of the Sailor Moon series, though she didn’t have a name in the manga. Balm: A clever play off of the word “palm,” in reference to palm reading and, more generally, fortune telling. Frau: Many people claim this is a play off of the Japanese word 振る (furu; to dump), but that doesn’t make sense in this context. Most likely it’s a play off of “flower,” in reference to the broaches given away that sap listerners’ energy. Iguara: A pretty clear reference to an iguana, due to the pet shop which was opened and the design of the enemy. As an aside, he cute animals that smell all-so-nice in this episode, chanela, are an obvious reference to Chanel, the brand of perfume. Derella: Derived from a shortening of Cinderella. Garoben: A play off of the Japanese term ガリ勉 (gariben) meaning to be fanatic about studying,2 and probably in reference to all the students and how hard they were studying (and as a result, having their energy taken from them). Kigaan: A play off of the Japanese word 祈願 (kigan) meaning prayer,3 which is typically offered up at a Shinto shrine. Widow: Pretty obviously in reference to the black widow spider. Kyameran: Could be interpreted either as: (i) An “n” added to the Japanese word for camera, or (ii) a contraction of “camera” and “man” to become Cameran. Jumeau: In reference to the Bisque dolls5 which were popular in the late 1800s. A French company, Jumeau,6 was one of the most famous manufacturers. Regulus: Direct reference to the star, Regulus. This takes us all the way through the first half of the original season of Sailor Moon, but it’s already getting pretty long, so I think we’ll need to hold off for part two until the next time around. Next up, we’ll be taking a look at the youma which service under Zoisite and Kunzite, along with the Seven Great Youma themselves and those that served directly under Queen Beryl. There’s plenty of more trivia to be found! Read on to part two here! ← How Did the Youma Used by the Four Kings Differ? I don’t know if you covered this, but where did the youma come from? There’s kind of a backstory in the other arcs as to where the enemies come from. R = droids, S = daimon (both of these were created), SuperS = servants of Nehellenia who became circus creatures?, and Stars = people who lost star seeds. But, for the most part, the youma are just “there”. I’d like to know more about how they came to be. That is an interesting question, and something I’m pretty sure they never addressed during the series. I guess my assumption had always been that they were either simply monsters summoned up by Metalia, which would make sense for Morga and many of Jadeite’s youma, but not so much for Grape, Suzuran, and Housenka (Zoisite’s group to kill Nephrite) and the DD Girls in the anime. The other idea is that the Queen Beryl’s armies who had attacked the Moon Kingdom back in the Silver Millennium were reincarnated/banished to the Dark Kingdom when everything got reset at the end of the battle. Since the anime doesn’t imply that the Dark Kingdom was also reincarnated (like the manga does), this is also a possibility. As an aside, when you stop and think about it, many of the the youma are actually explained. Nephrite turns items into the monsters while Kunzite often does the same to people. True. There’s just a really unsettling amount of creatures lurking around Beryl’s throne room though right from the start though. I think it might be a combination of monsters collected over time, but some might have been reincarnated too. Take this with a grain of salt but when I noticed some places listing Frau as Flau I decided to research the name a little. I noticed a lot of words in German that start with flau had meanings such as “slack”, “weak” or “sluggish”. Seeing she steals energy from people i thought it was worth noting. Frau also means older woman (likely widowed) in German. This is probably one of those cases where the connection is much more obvious when written in Japanese than when romanized. The Japanese romanization of “flower / flour” would be written as フラワー (furawaa). The Japanese name for Frau is written as フラウ (furau), so basically they just changed the last character of the name and did away with the extended vowel. Seeing as the prize for having your letter read on the radio show was a flower brooch that sucked your energy, the flower connection is probably a good one.